Stock # 28538P, I4, 6-Speed Automatic with Tiptronic, 21229 mi. CARFAX One-Owner. Clean CARFAX. Certified. 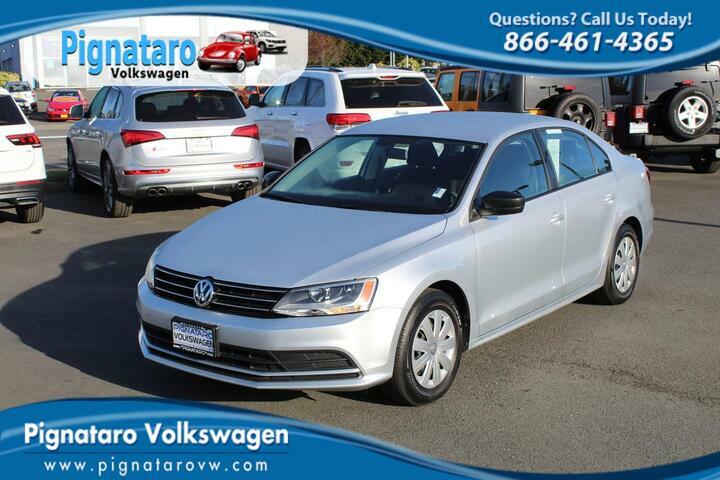 Silver 2016 Volkswagen Jetta 1.4T S FWD 6-Speed Automatic with Tiptronic I4 Odometer is 6989 miles below market average! 28/39 City/Highway MPG Type your sentence here.